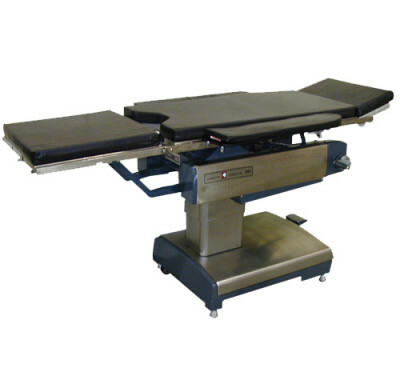 The 2080 Manual Control is a very suitable all round general surgery table with a track record of providing years of reliable service. 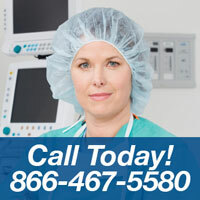 The 2080 provides a full range of articulation, meeting the needs of virtually every general surgical procedure. 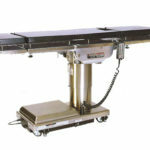 The addition of the x-ray top mounted on the table top facilitates taking x-rays during the procedure. 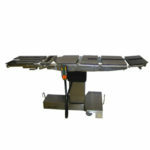 Despite being a manual operated table the controls are very easy to use and extremely intuitive. 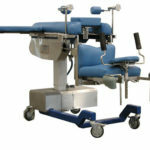 Hand cranks and selectors requiring operator attention are all at the head-end of the table, easily accessible to the anesthetist. Foot Pedals are easily actuated and clearly identified. Lock – to engage either the castors or locks with the floor. Raise/Lower – to raise or lower the table top. 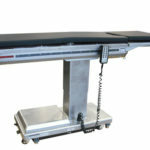 Table Top Positioning Controls are mounted at a convenient height on the tables main structure…arranged for simple foolproof actuation. After setting the selector for the desired movement, the table top is positioned by operating the crank handle.